We had the opportunity to talk to Darlene Dalmaceda who has been a driving force behind the efforts to save the Riviera and we wanted to share the interview with all. 1) How did you get interested in Las Vegas history? I have always been fascinated by the Mid-Century, especially the 1950s and early 1960s. My parents were older when I was growing up so I knew about the Standards before I ever found out about the Top 40! I was also exposed to the movies and pop culture of that time. Las Vegas has also been a special place for me. My family went on vacations during the mid to late 80s when the old places were still here. As a child I was dazzled by the glitter and neon lights of the Strip. I remember some of the old road signs and Tropicana was my dad's favorite place to stay. Circus Circus was where my parents took me to play games and watch the circus acts. I used to beg my folks to take me back, but I didn't return to Las Vegas until I moved here from Southern California in 2004. However, my interest in Vegas history did not really begin in earnest till I discovered LeavingLV.net, a defunct website that was created by Joel Rosales (now Lost and Found Vegas on Facebook) that meticulously documented the Stardust and Frontier implosions. I only visited the Stardust twice before it closed and I regret I did not visit more; the place had so much history. I also enjoyed watching the movie Casino and reading the stories about the mob and how they used to run the town. Our history is not that old compared to other parts of the country and becoming increasingly rarer to find anything about, especially on the Strip. So a combination of all these things really spearheaded my love of vintage Vegas. 2) What spurred you to start your Facebook group? I have a Facebook group called The Golden Age of Las Vegas: Vintage Hotels, Casinos, Headliners, and History, which has been around since 2009. At the time it was the only vintage Vegas group I knew of on Facebook. I wanted to find like-minded people who also had a love of vintage Vegas. It had grown to 500 members and at some point Facebook changed their groups format. The group was archived and became dormant for a while till it was resurrected about three or four years ago. At last count it has over 2,000 members and many of them frequently post pictures and videos, mainly from the 1950s-1970s, but we also cover a little bit from pre-1950 and the 1980s. As far as how my group is different from the others, I know a couple of groups tend to focus more on local places that are gone now while mine focuses more on the Strip and Downtown. The others also post the same kind of content that I do; I also enjoy looking at what they are posting and re-post their content to my group as well. 3) What is your favorite hotel from the classic Las Vegas era, and why? It's so hard to choose! They were all special in their own way, but I have to say Riviera. The "Riv" hung around longer than a lot of the places that are gone, 60 years, which is an extraordinary accomplishment in this implosion-crazy day and age! It's ironic because of the fact that it almost didn't make it in the beginning, but there was always someone to step in and bail it out, who believed in keeping it going. I spent a lot of time there over the years at various events. I hosted several pool parties and a dinner party at R Steak and Seafood on April 20th to commemorate the 60th Anniversary of the hotel's opening. My mom and I had a staycation there the last week before it was closed. I was also there on Closing Day, May 4th, when the Crazy Girls statue was removed. It was very sad to see so many customers and employees lose a place that had been so special to them, and to me as well. I was always treated well by the staff and met so many great new friends from my group at my events and at the liquidation sale. All these things combined made it my favorite classic Vegas place. 4) Why are people still drawn to those hotels and their history? I think people who were around in those days are drawn to them because it reminds them of a time when they were happy. Vegas was such a smaller and different town from what I know. They just miss those days because they feel it was better than what has replaced it. 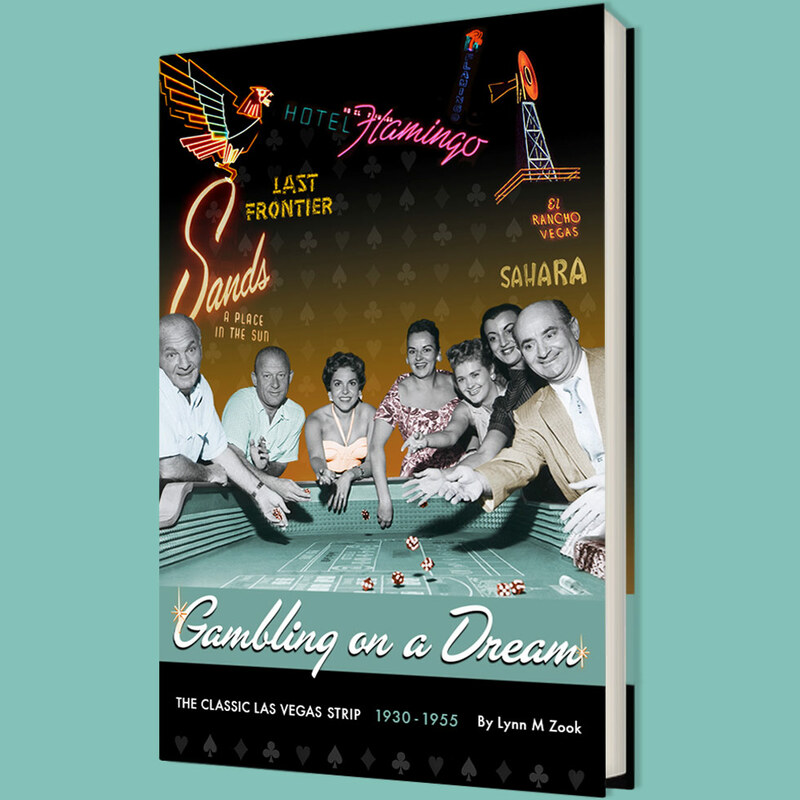 I cannot say for sure if it is or not because I only experienced it through the eyes of a child, but I wish I was around to experience the classic Vegas era in its heyday. We have some of the most colorful history in America and it is sad that a lot of it has been lost to progress. I understand times have changed and Vegas is a place that has to change with the times to stay relevant. Still, it would be nice to keep something for future generations. Where do we draw the line? My fear is that soon there will be nothing left and I think that's why people who care about our history and heritage want something to hold onto to show future generations where we came from, what our legacy is, because we shouldn't forget our roots and where we came from. 5) Why is the Riviera important to Las Vegas Strip history? The Riviera was the ninth Strip resort to open in 1955. It was the first high-rise hotel on the Strip, nine stories, which was a big deal back then because the hotels at the time were one-story motor courts. Liberace was the featured headliner and cut the ribbon on Opening Day. There were all the other fabulous entertainers as well: Frank Sinatra, Liza Minnelli, Barbra Streisand, Engelbert Humperdinck, Dean Martin, I could go on and on. Anyone who was important headlined there at one point or another. There were so many movies and TV shows that were filmed there throughout the years. In the mid-80s it ushered in the "Burger King Revolution", and was the first property on the Strip to have a fast food restaurant. Also, it was the only Strip resort to survive completely intact. Not much original Mid-Century architecture survives on the Strip anymore from our first resort "boom" of the 1950s. It is among a handful of "Rat Pack" era hotel/casinos that are still standing, but not for much longer unless we can do something to save it in some way, shape, or form. 6) How can others get involved in helping save the Riviera building? Also, I am looking for volunteers to petition in front of the Riviera itself to ask people for physical signatures and to direct them to the Change.org website. To find out how you can help and become a volunteer, please contact me at misslv80@yahoo.com or contact me through my Facebook profile or through my Facebook group. There was a young man in his early 20s I met briefly at my Riviera pool party on May 3rd that was wearing a t-shirt that said "Save the Riviera". He was the only one I know of that spoke out against the LVCVA purchasing and demolishing the resort at the meeting they had. I don't remember his name and I am trying to find him. If anyone knows who he may be, please contact me because I would like to get in touch with him. 7) What is the big difference between the classic era and today's Strip? I think the biggest difference is people want bigger, flashier, more over-the-top spectacle, and more to offer besides gaming. Many people I met when I used to work in the hotels said they came to Las Vegas for things other than gambling. Nowadays we have much more in the way of shopping, nightclubs, attractions, and many tourists bring their kids as well. Also, the younger generation tends to gravitate toward more of a club culture rather than going to lounge acts and live entertainment like in the past. If there are live entertainers they tend to be in larger arena type venues, big musical festivals like Rock in Rio, Electric Daisy Carnival (EDC), Life is Beautiful, etc., rather than intimate showrooms like the Rat Pack used to perform in. The headliners now tend to be DJs who play at ultra pools and clubs on the Strip. For more of an "old school" Vegas feel, Downtown Fremont Street is the way to go and still has many of the original hotels/casinos from the Mid-Century period. Also, Vegas was much smaller and felt more intimate 40-60+ years ago. Going to the casino was an elegant affair where people would get dressed up in their finest clothing for a night out on the town. From what I have heard, it was more service-oriented and the staff members at the old hotels and casinos really got to know their customers a lot more than the bigger corporate-owned places. There were also better deals as far as what the hotels/casinos had to offer their guests. Robert De Niro in Casino said it best, "Nowadays it's like checking into an airport. If you order room service, you're lucky if you get it by Thursday." It really was more of a "Wild West" town in the old days, so there was this sense it was this wide open frontier. Vegas has grown so much now that it feels more like a major metropolitan city and top resort destination where people not only come for vacation, but also for business and conventions. However, not everything back in the classic era was positive. For example, we were known for being the "Mississippi of the West" and there was a lot of segregation going on. The Moulin Rouge helped to break that color barrier and so did some of the entertainers like Frank Sinatra who were involved in integrating the hotels/casinos. I can say in that respect it is much better now as far as the diversity of the people who live and work here in Vegas is concerned. 8) What do you want people to know about Las Vegas that they might not? Las Vegas is not just about hotels and casinos, it is about people from all walks of life. We have a great community here beyond the Strip and Downtown, people who live and work everyday to make it the "Entertainment Capital of the World". We have art and culture just like everywhere else, you just have to want to look for it. It's the same thing with our history. It's important to remember the past so that we can see where we've been and how we can apply what we have learned toward making a better future. Darlene Dalmaceda is originally from Southern California and moved to Las Vegas in 2004. She is a graduate of The Art Institute of Las Vegas with a Bachelors Degree in Digital Filmmaking and Video Production. She has produced two short films and has several upcoming projects in the works. She also owns an online specialty retail boutique called Vegas Fine Pens and Gifts. She was the former Ms. Henderson United States 2013/2014 and the current Ms. Nevada Regency International 2015/2016. She is an active member of several networking groups and a supporter of various charitable organizations. Her new platform is to focus on preserving historic landmarks not only here in Nevada, but nationwide. Most recently she was a cast member in the murder mystery dinner show "Marriage Can Be Murder" at The D Hotel and Casino. Our thanks to Darlene for taking the time to talk to us and if you know the young man in the "Save the Riv" tee-shirt, please contact her or us!